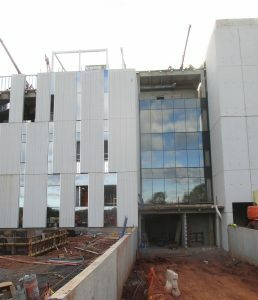 Recent photos from the Rutgers University Athletic Performance Center currently under construction in Piscataway, New Jersey. The project consists of a six-level precast parking garage structure and an adjoining four-story steel framed multi-discipline athletic facility. 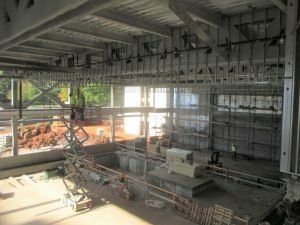 Both the precast parking garage and the steel framed structures are erected, and the construction is now focused on hanging the exterior precast and curtain wall façade. 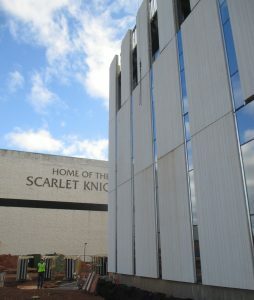 Nearly 75% of the precast façade has been installed. Construction is to be completed in June of 2019. 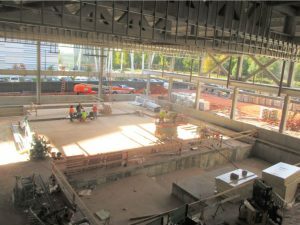 Keep posted for more construction photos as the project nears completion.